It’s our last day in Chicago! Katie Beth and I are going to be tourists for a half-day and then pack for an early flight. All day tomorrow we’ll be in transit. Here’s a quick update until I’m able to write more. 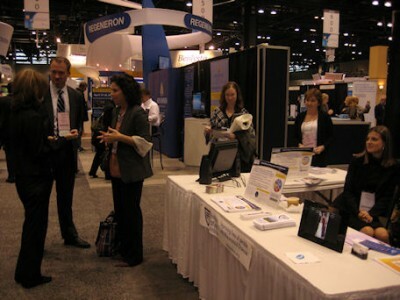 The last couple of months have been spent in almost constant preparation for the 2011 ACR Scientific Meeting in Chicago this week. 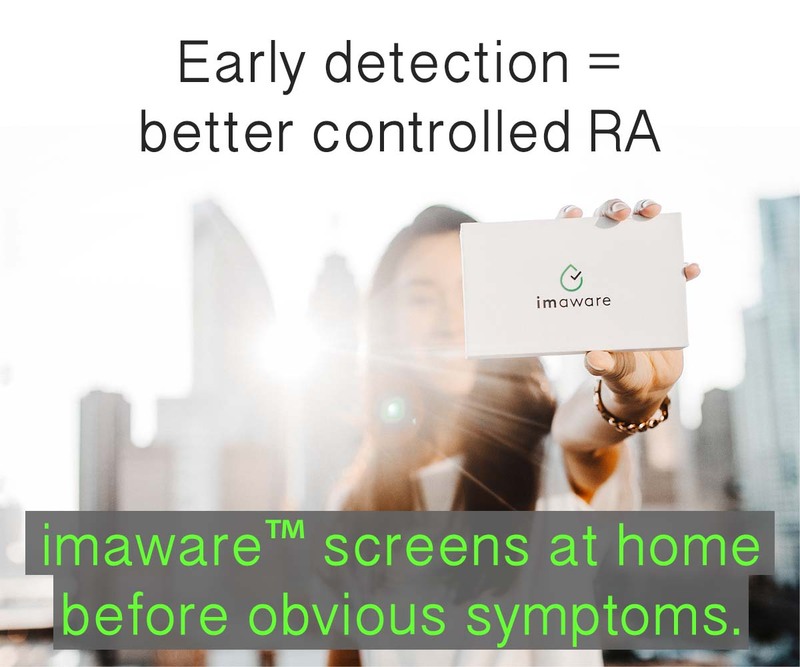 During that time, I traveled to Philadelphia to speak at e-Patient Connections and spent a week in Rochester, Minnesota due to my work with the Mayo Clinic Center for Social Media Advisory Board. 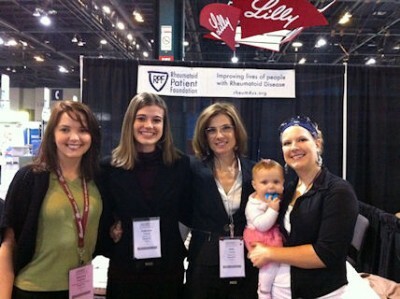 However, during that time, we also created materials and organized volunteers for the Rheumatoid Patient Foundation’s (RPF) exhibit at the ACR meeting. Then, Katie Beth and I spent 12 hours traveling last Friday. Then came the meeting week itself… that brings us to today. The scientific events of the meeting. 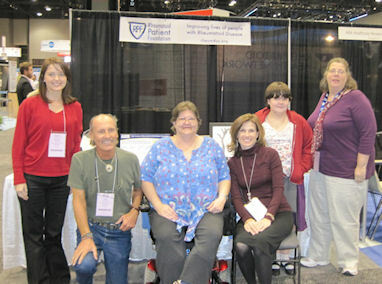 The incredible response to the Rheumatoid Patient Foundation exhibit. Surrounded by bright volunteers who share our mission. Working with friends who we love like family, but usually only talk to online & on the phone. Having discussions over donuts with doctors about participatory medicine! I DID NOT FORGET about Social Media and emails! I’m very behind on replying to email due to this fall’s heavy schedule. Every day, I do as much as I can. 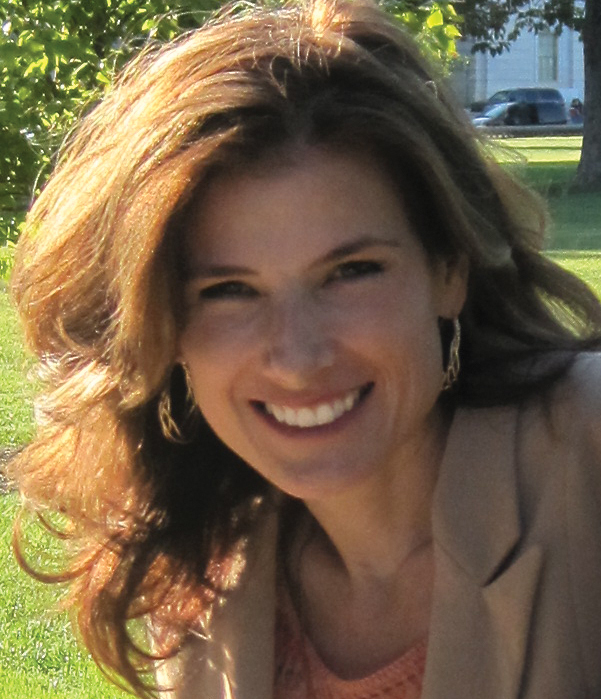 The stories and notes you send to me are a treasure to me personally and important input to this community. I read and respond, but sometimes it’s delayed. I also look forward to catching up with everyone on Facebook, Twitter, and LinkedIn! We weren’t missing as someone said to me!! 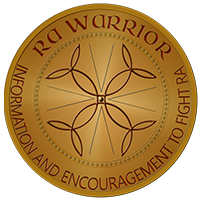 We have been doing the work of RA Warrior and the RPF!! There will also be posts by me and others on the RPF blog, so keep an eye on that as well. Bonus! 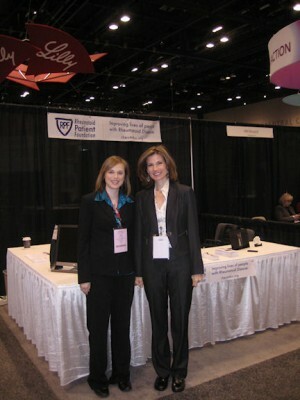 Don’t miss Dana’s post about the RPF booth at ACR 2011 on her blog At The Water’s Edge. Don’t miss these posts that go with this one! ← Does It Matter Whether Rheumatoid Arthritis Affects DIP Joints? Well done, Kelly. You accomplished all you set out to do this Fall. I’m extremely proud of you and your outstanding daughter and caretaker, KatieBeth. Thank you, Bob! You are probably the sole person who fully realized what this meant – how much we tried to do this fall, all the while with Katie Beth in college and my RA as bad as ever. Encouragement is a big help when it’s hard to keep going. Thank you for being there for us.